If you are organising an athletics event, your first step should be to read this guide and read the information below about organising a licensed athletics event. scottishathletics can provide information on potential date clashes, risk assessment, insurance, licence standards for events, levy collection, race organiser affiliation and more. To prepare to host your own event, visit our Event organiser FAQs page, or contact our Events Administrator. If you wish to organise an athletics event, be it a track and field meeting, road race, cross-country event, hill race or highland games, you will require a licence. Power of 10 and Runbritain Rankings will only include performances from licensed events. 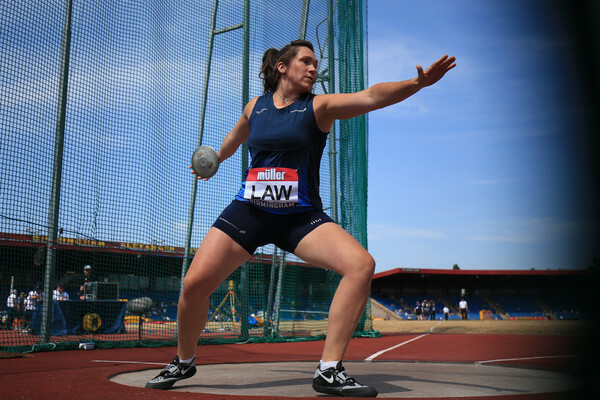 Licences will only be issued to organisations who are current members of scottishathletics. This includes athletics clubs, associate members and event organisation members (formerly called corporate members). If you would like an event licence and are not currently a member, register as an event organisation member through the ‘Signup’ link at the top of the page. We are currently accepting applications for events planned for the Summer 2019 season. This covers all events taking place on or before 30th September 2019. Event organisers planning events to be held in Winter 2019 will be able to apply for their licences in due course.If you are applying for a licence for a Road Race, please ensure your course measurement certificate is up to date before applying. Renewal instructions can be found on page 2 of your existing licence. An out of date certificate could cause a delay in your licence being issued. All licensed events must comply with current UKA rules for competition (incorporating IAAF rules), and are expected to meet the standard of delivery laid out for their licence-type. To encourage participation, the following guidance is available to assist you in making sure your event is accessible to as many participants as possible. Any road race held over an advertised, specific distance must hold a certificate of course measurement, issued by AUKCM, before its results can be used for ranking purposes. Your course measurement certificate should be submitted alongside your event licence application. Any road race that does not hold an official certificate of course accuracy will be recorded as ‘NAD’ (Non-accurate distance). Course measurement certificates are valid for one year. Course measurement renewals can be completed online if the course is exactly the same the next time the race is run. To renew your certificate for a subsequent race, click here. If you do not have a renewal code (older certificates), please get in touch by e-mail to renew. If you have any questions about course measurement, please contact our Course Measurement Co-Ordinator Mike Burns on measurement@scottishathletics.org.uk. Following any licensed event, event organisers must send to scottishathletics a completed event return form, a copy of their entries list (including SA numbers) and a copy of their results within 28 days of their event taking place. Road race organisers should also complete a medical return form, and any levies collected from Road/MT, Cross Country or Trail/Ultra races should be paid at the same time. The link below provides an overview of the main things to consider when planning to host a road race. Follow the link and then click on the circles, zoom in and out by scrolling with your mouse, or use the arrows at the bottom of the page to explore the topic and find out more.